A complete breakdown of anything and everything you need to know about physical exercise. Thank you for developing this app. Helped me a lot. I recommend this app to everyone. It is easy to use. You learn from videos and reading the instructions. It would be really cool if there were more videos and maybe 360 degree shootings. This app is a gem filled with fitness knowledge. An underrated app that actually has more in it than any actual fitness app I’ve ever had. This isn’t an app for logging your workouts. 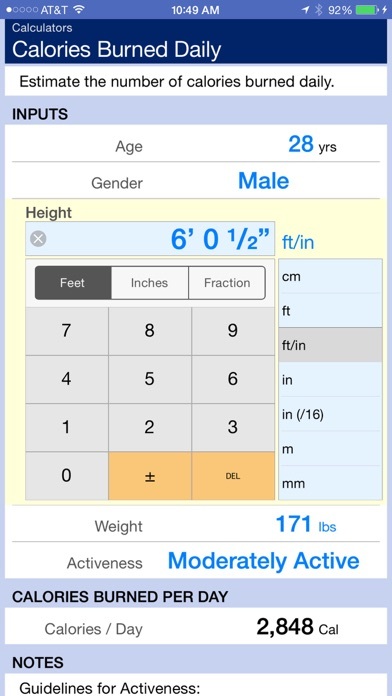 It’s an app for understanding and comprehending your workouts. Calculators and formulas are built into it. There are nice progression charts and annual training routines. It’s a little difficult to actually find a routine to follow though, as it seems you are expected to know how to create the balanced workout yourself after learning. So make sure you read and don’t expect a quick copy paste and follow this routine approach. If this app released a re-skinned “civilian” focused version complete with workout programs to match its progression charts, it’ll probably be the best app on the market. Nutrition Expert In Your Hands!!! Even though you need to purchase the nutrition guide in order to complete the guide, I'd say a buck is well worth it. I was skeptical of buying this app but grateful I made the choice to do so! 2 thumbs up!!! 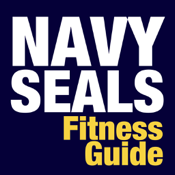 This is an extremely useful app whether you are preparing for the Navy or just want to get fit. As a kinesiology major I found it to be a great tool to reference, as all of the information here has been pulled directly from college txt books. Highly recommended! This app has an enormous amount of physical health and fitness information, neatly organized that I can hardly find anywhere else on the internet. 10/10! This is a very dense book with tons of info. If you like the science behind working out this is the book/app for you. 100% Amazing | Worth the money! For someone like me, a (hopefully) future Navy SEAL, this is amazingly useful. Pocket sized for going anywhere, cheap and very deep explanations. Every exercise category has the different resources you might or might not need, and all types of tips, perfect forms and explanation on how to complete a exercise, videos and pictures, just so much detail! 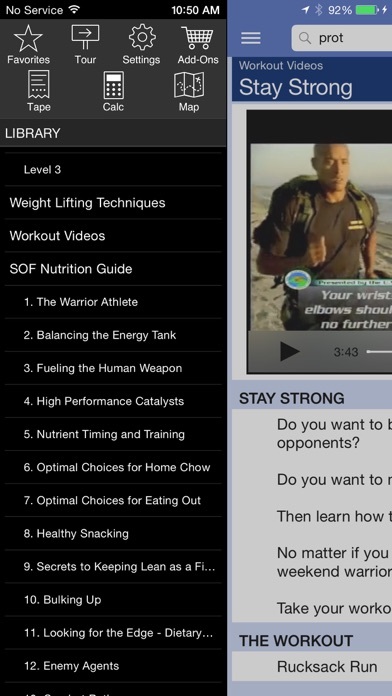 Perfect handbook and app for everything you need for training. Very worth $ 1.99 (also the $.99 for nutrition is very useful too). I do a lot of marathons and mud runs this app is on point and the best in instructional advice. I workout daily and it's really motivates you to push harder without noticing what your doing to yourself...(if you follow what they say). Just from changing my diet a little, and wearing a weighted vest every two days. I went from running a 8mile pace to 7-6:5 pace. It'll be nice if they would make a gps with a drill sergeant. coaching you. There are lots of military fitness apps, but this one is the best. I am currently training for BUD/S, and I have found this app very helpful. This app covers many physiological themes and more importantly, how they relate not only to SEAL training but ALL training methods. You don't have to be an operator to find this app useful. This app is a great addition to any one looking to get more out of the gym and improve their fitness game. The add on nutrition supplement is great as well. Even if you do not follow all of the advice listed and use it ala carte style as I do, this is a great tool and an essential addition to anyones fitness library. Being a military contractor, I deploy frequently and this app is useful wherever I am in the world. No matter the equipment or lack thereof, I am able to put together a solid workout and diet plan based on the useful information provided. I highly recommend you buy this app!! Solid info, from nutrition to conditioning to injury prevention. Worth every penny. As a vet and former BUD/S candidate this app has a lot of basic information that most forget to cover and a much more detailed/in depth look at what level of fitness is required. Worth the money and worth the read for anyone from novice civilian to service member. I gotta say I use it for regular activity which I learn a lot from this app like exercise, foods to eat and I like it how I can keep update with the activities of how much I burn. I actually understand how it explains facts with everything of how the member needs to be train and be ready for the fight sad but, true. These people are very brave salute them all the way and may God bless them. This app has a great amount of information for all people interested in fitness. I love this. BUDS here I come. I'm not one to ever write reviews, but the amount of info for the price is unbeatable. An App that's actually worth the money. Great find! Comprehensive guide for physical conditioning. 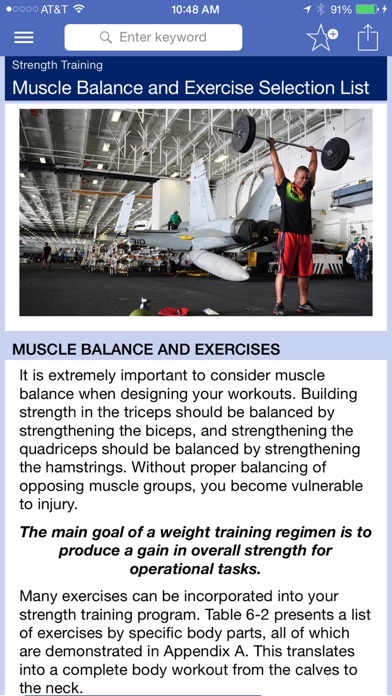 Excellent APP thoroughly explains all aspects of physical conditioning in a manner which applies to active military and civilians. If you're looking for a change in your workout routine and need to balance strength, flexibility and cardio this app provides superior descriptions and guidance. What a great resource. Thank you to whoever created this app. I have done martial arts for 20 years and this is the most comprehensive fitness guide I've ever seen, blows away "Men's Heath," mag stuff, and that stuff is good. I was surprised. Most people think of strength, endurance, and calorie burning when they think about a workout, but this gets into a lot more than that and you learn why Seals would be in much better shape than most anyone and what you'd have to do to get there. Most of us never will, yet trying to do even some of what they're doing put me in much better shape so I have to recommend. It's not surprising that when people who are in this kind of shape go on missions it's usually "mission accomplished." As a former athlete and now 51 years old, training is much more than running and lifting. This app really allowed me to better understand my body and how it will respond to specific training. 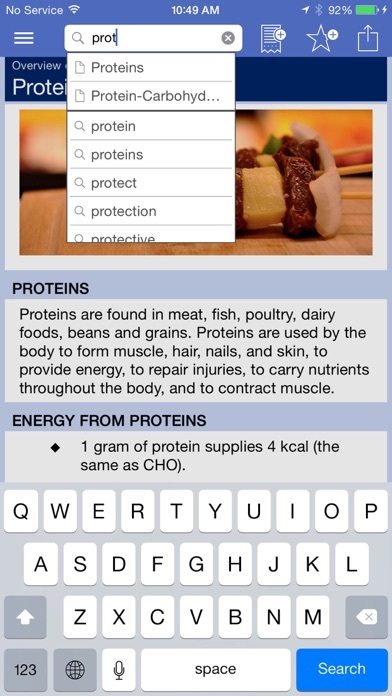 One of the most comprehensive apps on basic fitness and nutrition. 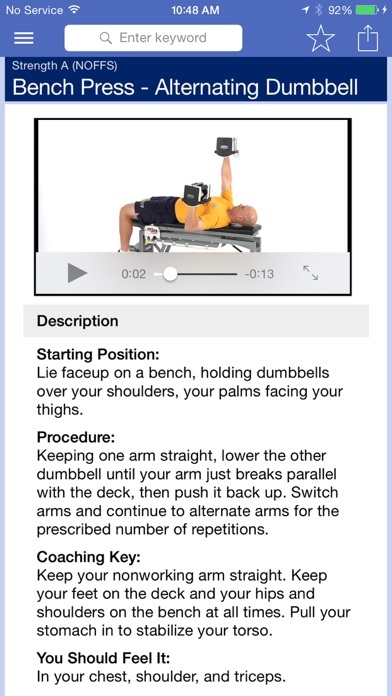 Great app for improving fitness and learning more about the fundamentals of fitness. This looks like a great app, but it won't let me download it whatsoever. It just keeps saying that I have already purchased it so it will be downloaded at no additional charge and every time I try it just doesn't download. This app is very informative and give fitness and nutritional information based on facts (no fads or gimmicks). Great app overall. Lots of exercises to choose from. In depth detail (including video) of how to execute each individual exercise. It's got everything from warm-ups/cool-downs to nutrition guides. I only wish it offered more workout plans. Maybe we can get an update soon. But like I said, it's an overall great app. I use it for referencing frequently. All you need, and then some!!! The most comprehensive fitness app, bar none! It's all here, nutrition, stretching, calisthenics, weight training, aerobic training, program planning, instructions, goal tracking and the science behind it all. Add to that the motivation you get by knowing you are following in the footsteps of the most elite warriors on the planet! Want to get in shape and create a healthy lifestyle? Buy this and get started. No need for anything else. Good comprehensive instruction of exercise theory and application. This app is simply amazing, everything you'd need. From an Army guy, thanks for the PT, walking around locked, cocked, and ready to rock with this instruction! It's very simple and effective, make yourself into a superior warrior athlete! This app continues to improve with each release. It almost has too much information if that's possible. Potential SEAL or weekend warrior, there's direction and help for each. Tons of ways to push yourself. Superb app. Easy to use and chock full of helpful information. Excellent all around!